Integrity is about doing the right things when no one is watching. It’s about stopping at the traffic lights when there are no cars at 2 a.m. in the morning. It’s about owning up to your mistake, even when it’s to your disadvantage. We have all faced those difficult choices, and it is our choice and our action that defines integrity. In the difficult and often troubling time that we are in, we are often tempted to play dirty, shirk responsibility, or devolve into personal attacks. A good lawyer, nay, a good person, would avoid the temptation and do what feels right. This is the quality that makes a soldier stay eternal, or a great team player. A great lawyer and a great strategist would recognize her opponent’s lack of integrity and play to her advantage, without compromising her own integrity. This is the quality of a good commander – someone who can lead as wars come and go. Last night, we witnessed the brilliance of a great lawyer and a great strategist on nationally televised debate, and it was personally inspiring as it was entertaining to witness. Having integrity, doing the right thing, also means to risk yourself when you didn’t have to, because the cause is righteous. This is the part that most of us fall short on – pretending to check emails when someone’s being bullied or abused, ignoring casual sexist or racist remarks from your boss from another era, or calling out blatant lies in a presidential election. We all do it to certain degree because it’s not our battle to fight, and for all you know, you could lose your job, or get stabbed, or both! I don’t fault anyone for avoiding conflicts or for being in tune with her instinct of self-preservation, but one thing troubles me is this acceptance of casual sexism and double standards that we witness both in the political arena and in workplaces. Despite all the progress we’ve made, we are still grappling with what it means to see powerful women, to quote President Obama. It is this discomfort that makes it not okay for Hillary Clinton to use private email servers when Colin Powell advised her to do just that, or that using private email servers somehow is just as bad as creating a fake university to teach people about how to get rich. As we try to make sense of these troubling times, I would encourage you to stay true to what you feel is right, and have the courage to stand up to injustice, even if sometimes it’s not your fight, or even if doing so may be disadvantageous to you. 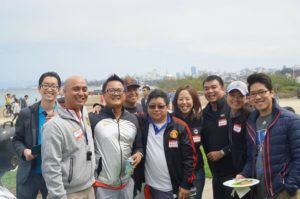 AABA members participated in a barbecue with the Filipino Bar Association of Northern California and the Korean American Bar Association of Northern California on August 20, 2016 at Crissy Field in San Francisco. All the attendees enjoyed the day’s activities. AABA’s Employment Committee hosted its annual Career Workshop at Golden Gate University School of Law on September 13, 2016. The Workshop’s focus was to help law students, recent graduates, and junior attorneys learn to build their personal brand as well as create organic relationships with other professionals. 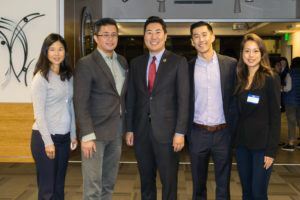 The first half of the Workshop was presented in a panel discussion format and moderated by David T. Wang, AABA’s Employment Committee Co-Chair. Wang raised a wide range of questions for the panelists before approximately 40 attendees. The panelists included Charles Jung, Partner at Nassiri & Jung; Hung Chang, In-House Counsel at Harman International; and Norene Lew, In-House Counsel at Salesforce.com. The Workshop tackled numerous topics on relationship-building that included actions to take and avoid. Jung provided insight into past networking attempts that were not effective for him. In particular, he advised against pitching business to new contacts before first trying to build an organic relationship with them. 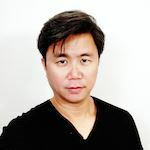 Mr. Chang shared anecdotes regarding the importance of knowing your audience; for example, how appearing too casual before certain crowds might jeopardize your professional reputation as a matter of first impression. Lew shared her personal career trajectory regarding changing legal fields from public defender, to civil litigator, and finally to in-house counsel, where she now primarily focuses on transactional law. Her story is a testament to the significance of networking, as each of her career moves involved recognition of her personal brand, including work ethic and skill, at each prior job. The second half of the Workshop focused on “elevator pitches” in small groups of two to four participants. Each participant had the opportunity to give a brief elevator pitch, followed by substantive critique and suggestions from the other group members. After the elevator pitch session, Mr. Wang made closing summary remarks and encouraged all participants to focus on two goals for building new relationships and maintaining existing relationships. The reception was coordinated by AABA’s Employment Committee Co-Chairs Angel Garrett, Andrea Loh, and David Wang and Committee Members Thomas Hwang, Patricia Swen, Susan Ye, and Jason Yee. As an organization, AABA is dedicated to supporting the professional growth of its members and developing relationships with the community. We appreciate your continued support and look forward to your attendance at future events. 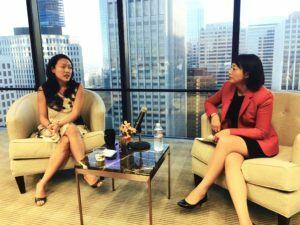 AABA’s Women’s Committee held their Annual Women’s Leadership Series which featured San Francisco Supervisor Jane Kim on September 21, 2016 at Morgan, Lewis & Bockius LLP in San Francisco. There were 35 people in attendance. 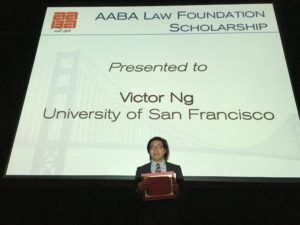 I am honored to receive the AABA Law Foundation Scholarship. Thanks to generous donations made to the AABA Law Foundation providing for such an incredible scholarship, I am able to pursue my dream of working for a judge during my time in law school. I am a gay, first generation Asian American immigrant. I was raised by a single parent in a low-income household, and was the first person in my family to pursue higher education. Due to economic considerations, I usually pursue opportunities that paid instead of unpaid opportunities that would further develop my skills and knowledge. Luckily, with the AABA Law Foundation Scholarship, I was able to reduce my student loan and also take on an unpaid externship position with the Honorable Garrett L. Wong at the Superior Court of California – County of San Francisco. Under Judge Wong’s mentorship, I have learned tremendously about the application of law and have had the opportunity to interact with many other judges learning about their decision process. Such invaluable experience is essential to my development as an effective advocate and could not have happened without the generous donations made to the AABA Law Foundation for the scholarship that I received.